Rick (Brendan Fraser) is in the Foreign Legion, stationed in Egypt. 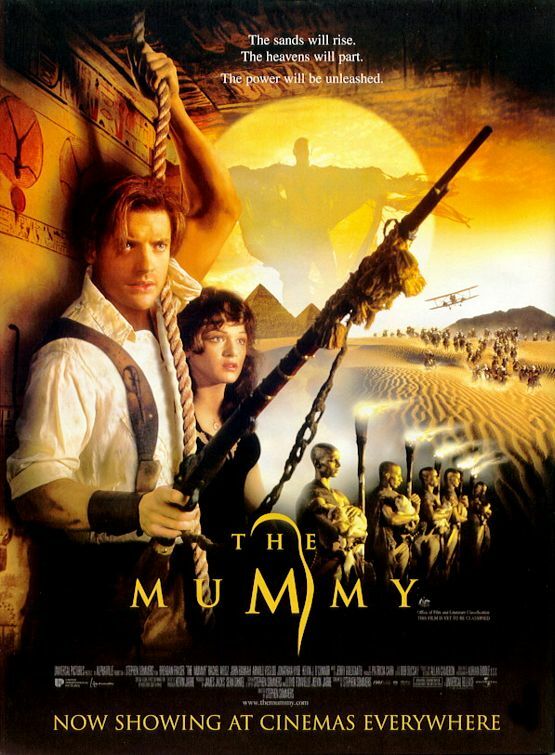 He is working at an archeological dig in the city of Hamunaptra, but things turn sour – not only is he attacked and arrested, but he and his dig also manage to wake the mummy Imhotep (Arnold Vosloo). Gambler Jonathan (John Hannah) gets his hands on the map to Hamunaptra and sparks his sister Evy’s (Rachel Weisz) interest, a librarion who knows her ancient Egyptian stuff. They pick up Rick and their search for treasures leads them straight back to the mummy. I remembered The Mummy being basically the epitome of a fun romp – and the re-watch absolutely confirmed those memories. It’s fun, it’s silly, it’s entertaining and Rachel Weisz rocks.